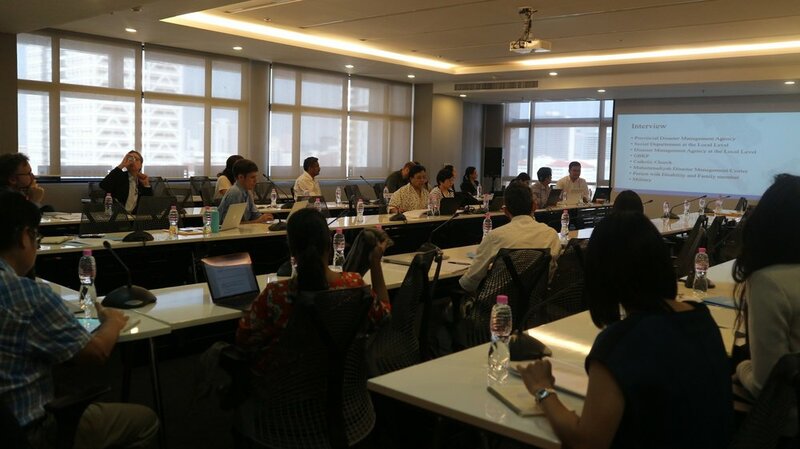 On 29 November 2018, the Center for Social Development Studies (CSDS) hosted a workshop led and coordinated by our partner the Raoul Wallenberg Institute, to discuss about disaster and displacement in Asia Pacific. The discussion is part of a ten-country study on a range of types of disaster and displacement scenarios understood through a human rights perspective. The overall study examines how state actors fulfill their obligations to prevent displacement, conduct evacuation, protect people during displacement, and facilitate durable solutions in the aftermath. Aspects of the ongoing research were presented during the workshop by the researchers involved. Regarding the prevention of displacement, the experience of Thailand and the Philippines were shared. For Thailand, Dr. Carl Middleton from Center for Social Development Studies (CSDS), Chulalongkorn University, presented on the 'Hat Yai Model', which is an effort to develop ‘soft infrastructure’ in the form of improved flood warning, and the strengthening of local government, community, civil society and local business capacity and collaboration to live with floods over the several days when it occurs. 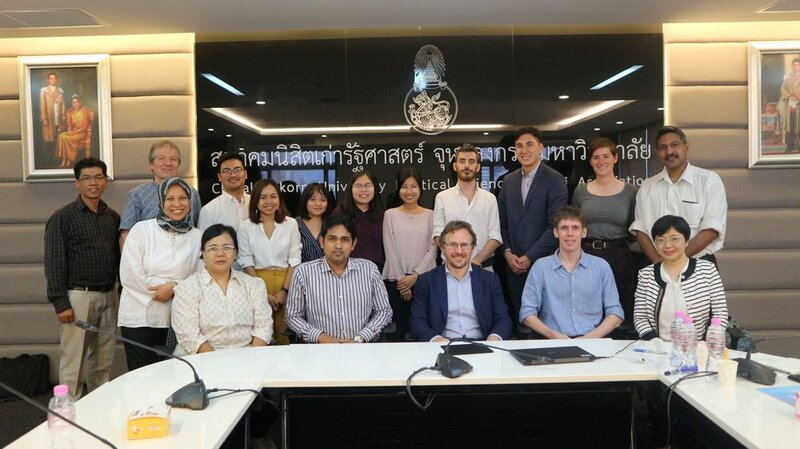 While it still has room for improvement, the researchers propose that the ‘Hat Yai Model’ as a preventative measure should be widely promoted in Thailand and beyond as a means to promote constructive state and non-state cooperation, enhance community empowerment and awareness, as well as to reduce the community’s vulnerability to flood disaster. Ryan Jeremiah D. Quan from Ateneo de Manila University School of Law presented the research on displacement prevention effort in the Philippines, particularly during the Typhoon Haiyan, which revealed that even though there is a disaster prevention system in place, there is a gap between the guidelines that are implemented by the government agencies on the national and provincial level and the experience and needs of the local government personnel in the field. The studies from Indonesia and Vanuatu provided insights about the evacuation process, especially for vulnerable groups. The study on Indonesia was presented by Andika Putra from ASEAN Studies Center, Universitas Gadjah Mada (UGM). The study, which focused on recurrent eruptions of Mount Sinabung and how it affected persons with disabilities, revealed how the disaster management system and the rights of persons with disabilities are managed under two different legal frameworks, which are yet to be synchronized at both national and local level. It is also noted that when the government doesn't present itself, non-government actors such as religious groups played an important role in supporting people with disability. Lack of representation from vulnerable groups was also found in the case of Vanuatu, which was struck by Cyclone Pam in 2015. Tess Van Geelen in her presentation showed how there is no permanent position within government institution to consistently represent these groups. Such a condition led to the lack of protection provisions in government policies and effective approach in responding to disasters. International assistance has supported the development of many exemplary protection policies, however, the government staff is presently not equipped with the skill to implement the protection policies. In terms of protection of affected people during disaster, researchers looked at the experience from the 2015 earthquake in Nepal, and flooding in Bangladesh and Cambodia. The study in Nepal by Dr. Bala Raju Nikku highlighted the limited access to basic necessities and services, as well as mental health issues that became very common among displaced persons. Currently, there is limited capacity in the government to address this issue, and therefore mental health issue is not included in the protection planning. In the future, the researcher argued that it is very important to psychosocial assistance as the first aid for people facing the issue of displacement, especially for vulnerable groups such as women, children, and persons with disabilities. The displacement scenario was revealed to be different in Bangladesh. MD Abdul Awal Khan from the Law Department of Independent University, Bangladesh, said on his presentation that currently there is no systemic plan on displacement organized by the government, causing people to move haphazardly. There is an existing policy with statutory provisions regarding disaster management, but the lack of implementation mechanism and strategies made it inadequate to mitigate when disaster happens. The lack of coordination between concerned government agencies is particularly affecting persons with disabilities, because there is no existing plan to handle such situation. Ratana Ly from Cambodia on her research examined how people who live with annual flooding experience displacement. People in area that flood has been living there for generations; they are tied to the land and are unwilling to move away to other areas, even though disaster may happen every year. From the Cambodia research, it was shown that disaster management-related policies need to address the local knowledge, so that policy can reflect local values. 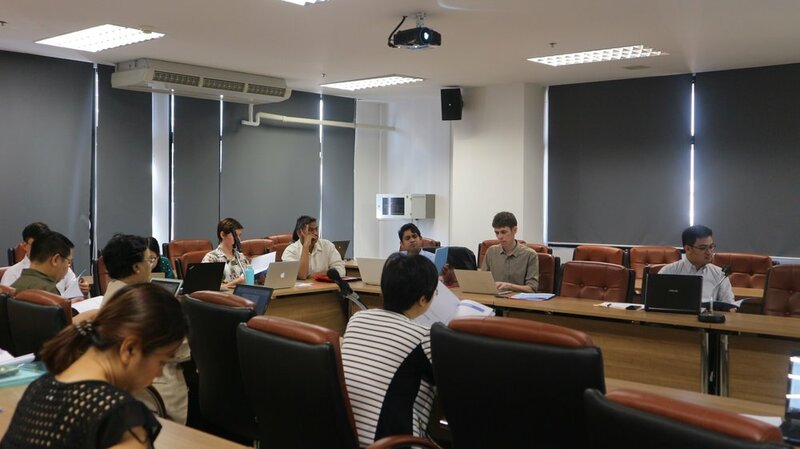 The final two studies presented were on China and Myanmar examining durable solutions to the aforementioned issues. In China, Tang Yixia found on her research that the legal framework for disaster relief had encompassed various aspects from the prevention measures before disasters, emergency rescue measures at the time of disasters, coping strategies after disasters, as well as incorporating special provisions on the rights of women and minors. However, in implementation, human rights and gender perspective are still being left behind, which makes the protection of displaced persons’ rights not fully effective. Myanmar, which has ratified various international human rights treaties, also has existing national laws and policies which promote protection of the human rights of displaced persons in the context of disaster. Prof. Dr. Khin Chit Chit of Yangon University revealed in her presentation that there is even a provision within the national law that require the government to prioritize children, women, and persons with disabilities. However, a more detailed regulation is needed to ensure that the government has a long-term plan to manage risks within these vulnerable groups. Harmonization between the disaster management laws with other related laws is also needed to ensure the substantial protection. The feedback gathered during the consultation workshop, with valuable inputs from international organisations and experts in regards to internally displaced persons in the context of disaster, will be incorporated into these ongoing studies, will be incorporated into the finalization of the research projects. For the research in Thailand and about the wider project, please visit our project page here, for updates.